McCreary would like to thank all the students who completed the survey. Thanks are also due to those who helped to administer the survey in classrooms across the province, as well as to the health and school district personnel, parents and students across BC who highlighted emerging health issues to be included in the survey and provided feedback on drafts of the 2018 BC AHS. For more information about the 2018 BC AHS, please contact mccreary@mcs.bc.ca. “The Adolescent Health Survey is probably the most valuable data we have in the school district for health planning and we regularly use it with our community partners as we look at areas of strength and places we need to give additional attention.” -Chris Kennedy, Superintendent of Schools/CEO, West Vancouver Schools. 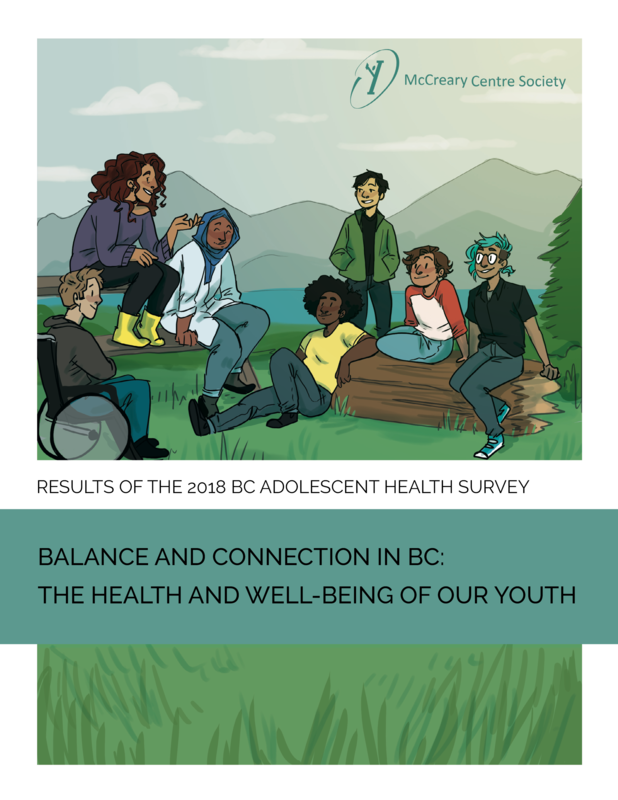 The BC Adolescent Health Survey (BC AHS) is a questionnaire used to gather information about young people’s physical and emotional health, and about factors that can influence health during adolescence or in later life. The survey is conducted by the McCreary Centre Society in collaboration with the provincial government and public health system, and with the cooperation of BC’s school districts. Since 1992, over 168,000 students in Grades 7–12 have completed the survey. In 2018, 58 of the 60 BC school districts participated in the BC AHS. The BC AHS is the most comprehensive source for reliable, accurate and BC-based information about youth health. Survey results are used extensively by schools, communities, government agencies, health professionals and by youth themselves in planning and evaluating programs and services. Because the survey has been in use since 1992, it gives policy makers and program planners the ability to track trends over more than 25 years. Is there any harm in asking?